The success of his titles Digital Fortress, Deception Point, Angels and Demons, The Da Vinci Code, and The Lost Symbol has made Dan Brown a household name—but how did he achieve this? This book includes a look at his early years as a musician, teacher, and humorist, and it examines the crucial role that his wife, Blythe Brown, plays in his life and work. It examines his skillful storytelling and extraordinary attention to detail, and reveals how important research is to his books, and how through careful study, he brings to light ancient rites and rituals that are buried deep within the collective subconscious. This combination of Brown's imagination with the secret truths, myths, and legends from a variety of ancient institutions—including the Freemasons and the Catholic Church—are perhaps why his novels are so successful, and, at times, controversial. 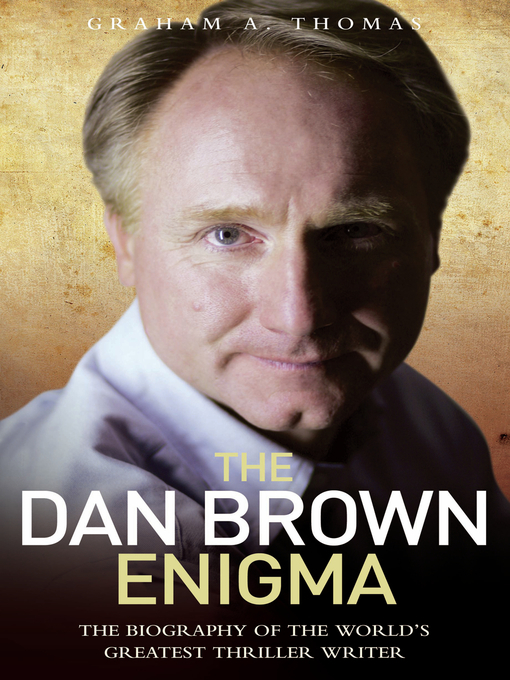 This insightful look into the world of Dan Brown will enthrall, entertain, and unlock the secrets of one of the world's most exciting and enigmatic writers.